Eyad is an environmental scientist. He has knowledge and experience in the field of laboratory and industrial waste treatment. He has worked in the field of environmental laboratories in Saudi Arabia for more than ten years. Through his long work experience, he becomes an expert in environmental pollutants, analysis and treatment methods in water, soil, and air. He has the ability to fully measure characterize organic and inorganic contaminants in various sample’s matrix using bulk, spectroscopic, spectrometric and chromatographic techniques (e.g. ICP-MS, ICP-OES, GC-FID, GC-MS, FAAS, AAS, UV-VIS, NMR, FT-IR, HPLC …etc). He also can develop unconventional analytical methods and interact with colleagues to solve out analytical and waste management problems. In addition to his environmental experience, he has Quality Management System (QMS) experience like ISO9001 and ISO17025, during his past work experience he was heavily involved in establishing and presenting QMS. 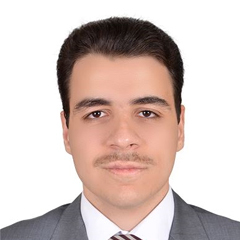 Eyad has joined LTSS in Jan-2018. Post Graduated Certificate (Higher Diploma) in Environmental Engineering, 2017, University of Strathclyde, Glasgow, UK. M.S. degree of Science in Applied Chemistry, 2007 – Jordan University of Science and Technology, Jordan. B.S. degree of Science in Chemistry, 2004 -Yarmouk University ,Jordan. Feras Q. Alali , Yahya R. Tahboub, Eyad S. Ibrahim, Amjad M. Qandil, Khaled Tawaha, Jason P. Burgess, Arlene Sy, Yuka Nakanishi, David J. Kroll, Nicholas H. Oberlies, ”Pyrrolizidine alkaloids from Echium glomeratum (Boraginaceae)” Phytochemistry 69 (2008) 2341–2346. 1st rate honor degree in Chemistry department at Yarmouk Unversity in 2004.